BOB BEGLINGER began his teaching career in Eau Claire, WI, in 1969, where he taught English and social studies at the junior high/middle school level. 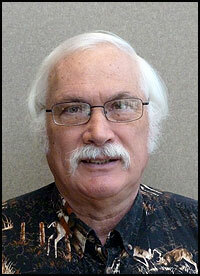 In 1999, Bob took a leave of absence from his teaching career to serve as President of AFT-Wisconsin. He served three terms prior to his retirement at the end of 2005. Throughout his career Bob was heavily involved with Union activities and held a number of offices at both the state and local level in AFT-Wisconsin and in WEAC. Bob remains active in the AFT-Wisconsin Retiree Chapter. Bob has also served his community in a number of other ways including: Sunday school teacher and youth group advisor, church trustee, auxiliary police officer, and town board supervisor. He is a member of the WI Democratic Party and has attended state and national conventions. In their retirement, Bob and his wife of 42 years continue to be involve with the Town of Wascott community up in northwestern Wisconsin and also enjoy time with their children and grandkids as well as pursuing their passion for camping and traveling. Bob also spends time hunting and fishing whenever he isn’t busy with his wife’s to-do list or whenever he can sneak away.